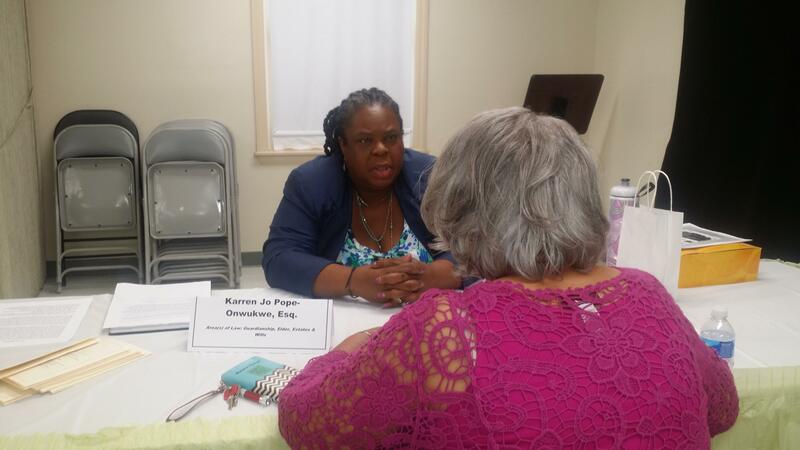 Attorney Pope-Onwukwe participates in many seminars and legal clinics throughout the year that are organized by senior centers, churches, civic organizations, non-profits, bar associations, government agencies and private citizens. Additionally, Attorney Pope-Onwukwe appears on television and radio to discuss matters of interest concerning elder law, disability rights, estate planning, probate and veterans benefits. Please feel free to contact us as you plan your next event.